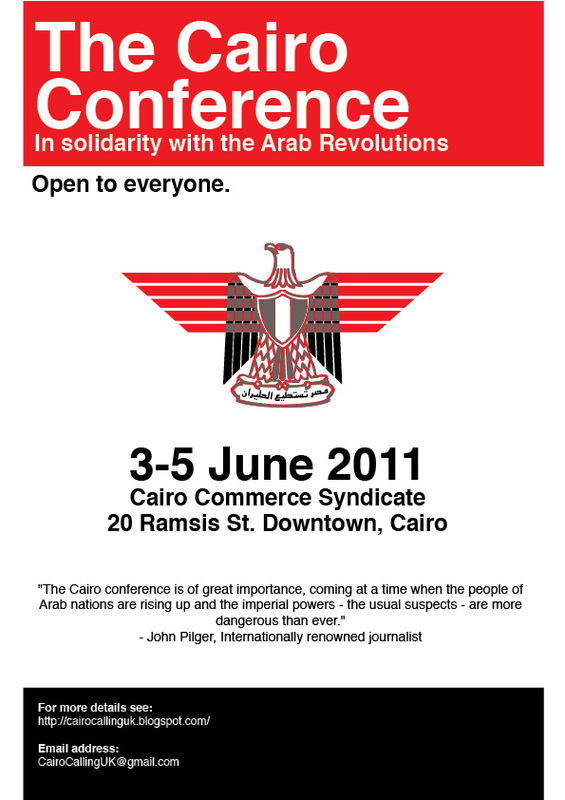 A delegation from Glasgow Stop the War Coalition will travel to Cairo, Egypt to take part in the Cairo Conference. Please consider making a donation to help fund the delegation. 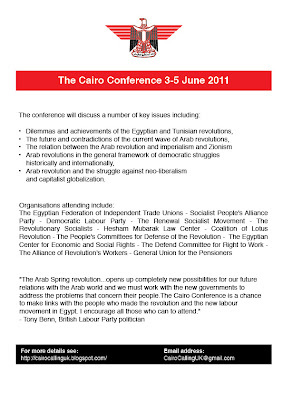 The conference will discuss a number of key issues including: dilemmas and achievements of the Egyptian and Tunisian revolutions, the future and contradictions of the current wave of Arab revolutions, the relation between the Arab revolution and imperialism and Zionism, Arab revolutions in the general framework of democratic struggles historically and internationally, Arab revolution and the struggle against neo-liberalism and capitalist globalization. This is a vital moment in the development of the Arab Spring. Our solidarity with those fighting for freedom is more important than ever. 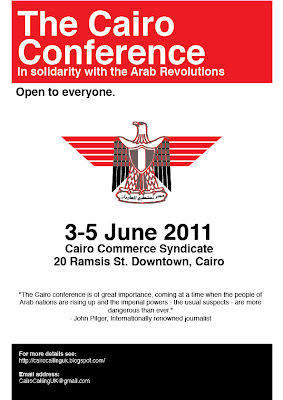 This the first international solidarity conference that has taken place and it is happening in the heart of the Arab revolution. I urge all who can be there to attend this important conference. Uprisings across the whole region show a thirst for accountable Government and real independence. The West think they can co-opt the process and at the same time protect the oligarchies in Bahrain and Saudi Arabia, and continue to allow Israel to continue its illegal occupation of the West Bank.The Cairo Conference gives a huge opportunity for the voices of unity and determination to achieve liberation.